Subcontractor Gets a Grip On Precision. 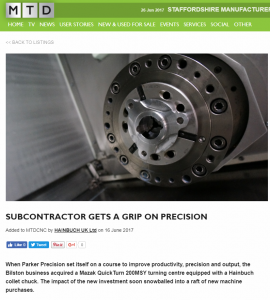 Parker Precision are pleased to feature on MTD Ltd’s website to discuss their recent investments in new machines. Read the full article here.